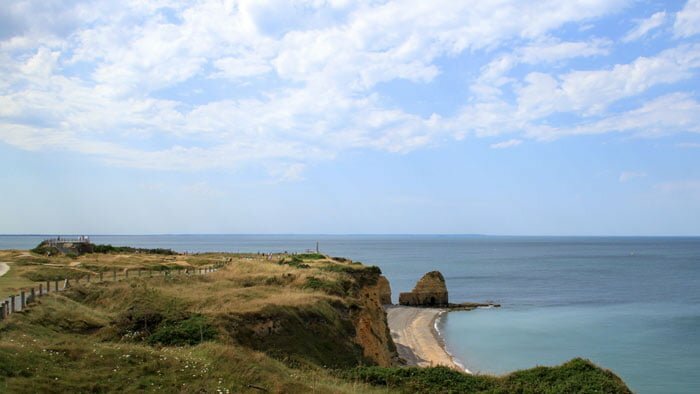 The capture of Pointe du Hoc by US Rangers was one of the most heroic acts on D-Day. The bomb-scarred terrain and battery are open to visitors. The cliff top German gun battery at Pointe du Hoc was one of the prime Allied targets at the start of D-Day on June 6, 1944. US Rangers heroically scaled the 100-foot-high coastal cliffs to capture the battery and hold the high ground at a great lost of life. The Pointe du Hoc is now a monument and one of very few places in Normandy where the craters left by bombing can still be seen. 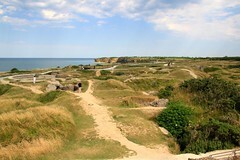 The German battery at La Pointe du Hoc was considered to have been one of the most important targets for the Allies on D-Day. 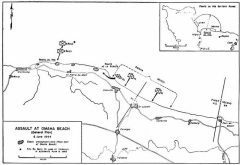 The battery here was strategically positioned halfway between the US landing beaches of Omaha and Utah. Pointe du Hoc was with a 30-m straight cliff face the highest point between these two beaches – silencing the guns here would have been vital for the landing operation’s success. The German battery at La Pointe du Hoc consisted of six casemates (two unfinished) and a forward observation bunker. Originally, the battery consisted of six open concrete gun pits containing six 155 mm cannons but by spring 1944, four of the casemates where fully enclosed and two anti-aircraft guns added. 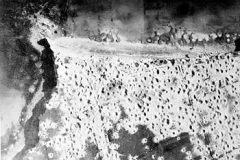 In preparation for the assault, Pointe du Hoc got hit by more than ten kilotons of high explosives. The USS Texas alone fired 255 360-mm shells at the target in the 34 minutes preceding the planned assault. The task of taking the battery was given to the 2nd Battalion of Rangers commanded by Colonel J E Rudders. In an amazing feat of daring the rangers scaled the 30-m cliffs in just minutes – amongst others by using long fire brigade ladders from boats. Delays meant that the element of surprised was lost but the Rangers still took control of the bunkers fairly quickly. However, most were surprised to find the German cannons were in fact wooden logs. Surprised is probably not the best term to describe the survivors’ feelings when learning that the Allied command was aware, but not 100% certain, that the guns were moved. Ferocious fighting followed when the Germans counterattacked in an attempt to regain the high ground overlooking Omaha – more lives where lost in this fight than in the daring initial assault. The Rangers held out until relieved late afternoon on June 8. 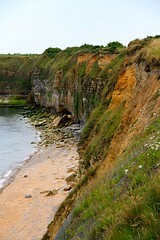 Of the 225 Rangers involved in the attack on Pointe du Hoc, only 90 survived. Today, La Pointe du Hoc is one of very few sights in Normandy where the scars left by the ferocious violence of the fighting on D-Day can still be seen in the landscape. 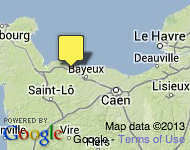 The craters left by the D-Day bombardments have not been filled and still pockmark the landscape. Visitors are free to explore the site – note, especially when traveling with children, that dangerous drops are not necessarily fenced off. The German forward position is almost intact and still gives clear views of the cliffs that the Rangers had to scale. Plaques at the entrance to the site explain events but once at La Pointe du Hoc few further explanations are given. A new visitor center is open daily from 9 am to 5 pm (6 pm from mid-April to mid-September). Access to Pointe du Hoc is free and always open as the site is unfenced. Ample free parking is available – pass the first parking signs and drive as far as possible towards the visitor center to park closest to the entry. 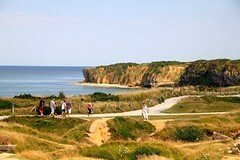 Public transportation is not available – an alternative for non-drivers are minibus tours, many include a visit to Pointe du Hoc. A similar German battery, but with the original guns still in the casemates, can be seen at Longues-sur-Mer – halfway between Omaha and the British landing beach Gold.